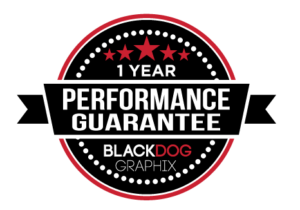 We take pride in providing you with a lasting brand solution and stand behind every job with our performance guarantee. If for any reason you are unsatisfied with your product, give us a call and let us work hard to make it right. Please ask us for details with your specific product purchase.